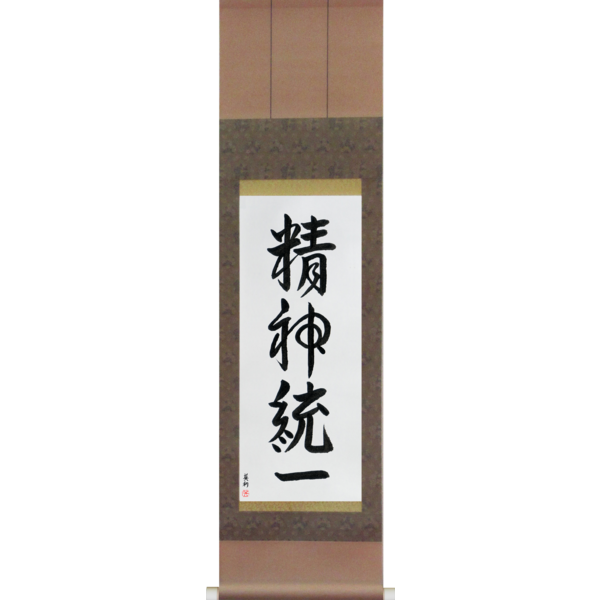 The four-character idiom oni wa soto fuku wa uchi meaning “Devils Go Out Fortune Come In” is composed of the kanji 鬼 (read oni) meaning “devils,demons”, the grammatical element は (read wa) which marks the preceding word as the subject, 外 (read soto) meaning “outside”, 福 (read fuku) meaning “good fortune”,the grammatical element は (read wa) which marks the preceding word as the subject,and 内 (read uchi) meaning “inside, within”. 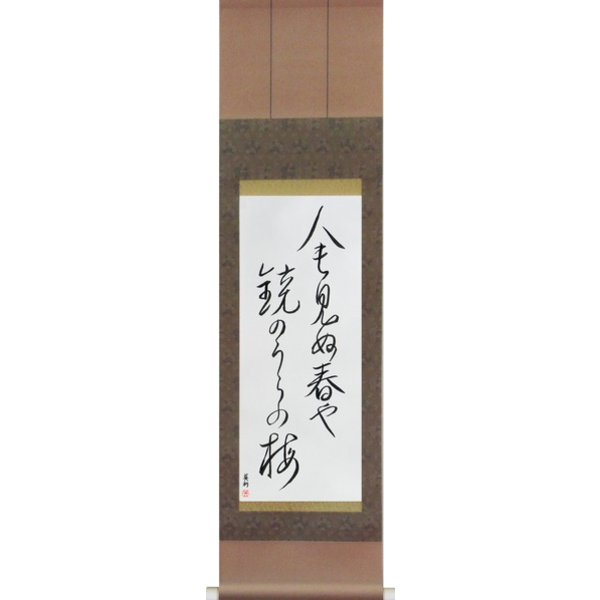 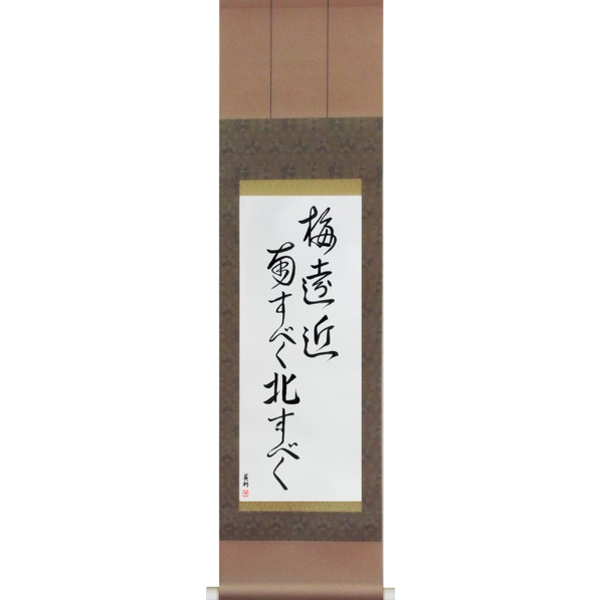 This beautiful calligraphy art of oni wa soto fuku wa uchi is appropriate for the entrance to the home and is a wish that evil spirits that bring misfortune and sickness be banished from the home and good fortune be welcomed in. 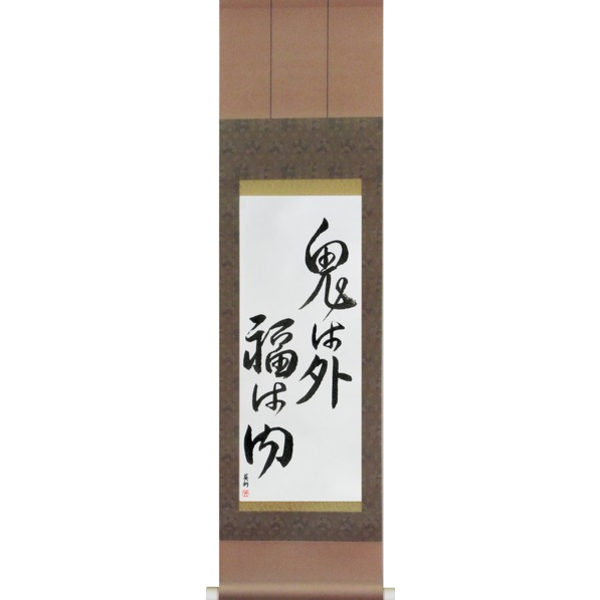 This phrase is part of the mamemaki custom of purifying the home on the day before the start of spring by throwing beans out the front door while saying “oni wa soto! 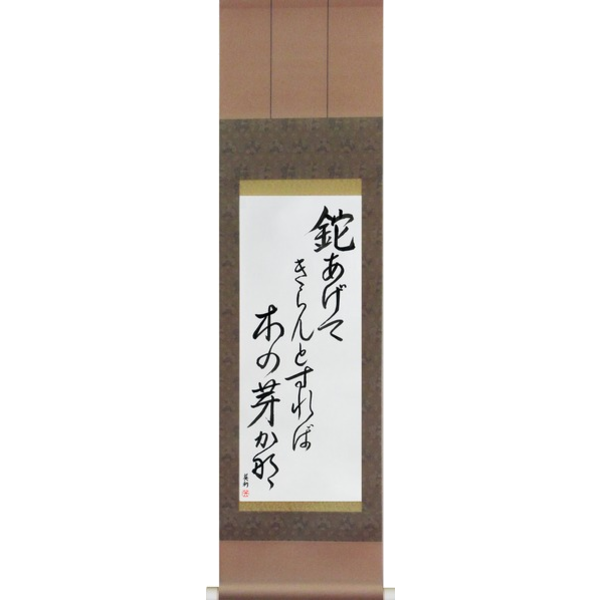 fuku wa uchi!” and then shutting the door.